I would like to start things off and say that Amazon has an excellent affiliate program which they call Amazon Associates. It is an excellent and easy way to get started with affiliate marketing. But unfortunately, certain U.S. States (and countries) prevent affiliates from using their affiliate program, I thought it would be nice to know some alternatives to Amazon’s affiliate program. ShareASale is what’s called an affiliate network where companies essentially hire ShareASale to house their affiliate programs. They have tens of thousands of products from thousands of vendors ranging from digital products like StudioPress WordPress Themes to Physical products such as Wayfair. When you sign up to one of the affiliate programs, you need to fill out an ‘application form’ which consists of the URL you plan to use and why they should approve you as an affiliate. In most cases, if you have an active website that ties into the product (i.e. your niche) – you would get approved. If none of the above suit your needs, you can always search out a private affiliate program which are usually run by product vendors. The reason why many companies choose to run their own affiliate program is to cut out the middleman and thus increasing their profit margin and/or offer more commission to the affiliate. The easiest way to find a private affiliate program is to search Google for your niche keyword + affiliate program. For example, if I wanted to find an affiliate program for ‘flux capacitors’, I would Google “flux capacitor affiliate program”. Have a look at the below screenshot to see what I mean. It looks like the website ThinkGeek has a flux capacitor and an affiliate program. Sweet! Now, upon further investigation, ThinkGeek’s affiliate program is now managed by CJ Affiliate by Conversant (formerly Commission Junction) which is similar to ShareASale. So, as you can see by doing some additional research and spending some time looking at affiliate program alternatives – you are not going to be restricted to Amazon’s Affiliate program. There are a plethora of options out there to start your affiliate marketing business and sometimes you need a little hand holding to guide you along. Have you found an awesome affiliate program or would like me to review YOUR affiliate program? Let me know in the comments below. Love your post Jay. I prefer private affiliate programs over centralized places like Amazon because I tend to get distracted by other categories that I don’t belong to (like Sports and Home Improvement). I just want to focus on my niche and find the necessary affiliate programs for me. A question though, I plan to promote books that I’ve read especially self-help and business books. But if I’m not going to rely on Amazon (which by the way is the #1 online bookstore), then what’s the best alternative affiliate programs for books out there? Thank you for offering your opinion as far as alternatives to amazon is concerned. As far as an alternative is concerned, what do you think about google adsense? I hear it is a good option especially if you have high amounts of traffic coming to your site. Would you also consider amazon a phenomenal program if the site has high amounts of traffic as well? Great information regarding alternatives. I was looking at Amazon but felt that I should look around and now you have just confirmed that for me. I started my research via keywords and got a good start. I have a question? Does the affiliate networks themselves like ShareASale have their own affiliate program? Those are some good alternatives to Amazon Associates. I remember the first time I tried out Amazon Associates and got booted out of it because I couldn’t get a sale in the time period they wanted in order to be fully accepted. I had joined another Affiliate Network called Linkshare or better known as Rakuten Marketing where they have hundreds of Affiliate programs some of which fit my niche such as GameStop and Best Buy. I will certainly look into Share A Sale as they seem like another great alternative. Thanks for the information! Thanks for your alternatives to the Amazon Associates program. It is always nice to have a back-up plan if something doesn’t work out that well. Your explanation about finding a vendors affiliate program is great. Do you use ShareASale yourself? I think it is a good alternative for a lot of people. That’s a simple, well-written post, I am a member in amazon associate program & I think it’s on of the easiest affiliate programs, by you open my eyes on private affiliate programs, it’s a good idea to search for affiliate program related to your niche! I really should start to try this technique. Those are great tips to follow to find other affiliate programs. People still search for flux capacitors? That’s amazing. I’m off to see if I can find one for hover boards. I think they will become the future of travel. I am a member of a lot of affiliate program but Amazon has been the only one generating sales for me so far. I need to focus more on making sure I can find products unique to my niche. So far I’m just trying to promote WA. I know there is so much more out there. Your post has helped highlight that. Thanks for this. Especially that Amazon doesn’t really give you great comissions and sometimes them private or smaller affiliate programs will offer you just same (or better) quality products with much better commission. Ha ha…. I didn’t even know if a flux capacitor was a real thing, but I do like the way you have shown me how to find other affiliate programs. Amazon is great, although their commission rate not so great. I think for people starting out, I agree with you Amazon would be the way to go. Once it starts moving then may be approaching other affiliates networks may work better for some people. Thanks for the great article. I’ve always enjoyed what you have to share Jay, these alternatives to the Amazon Affiliate program will be very useful. Even though Amazon is still a great place to go to for almost anything, there are still great advantages to going directly to the companies to get affiliate programs like commission rates. Amazon’s commission rates are very low. Although I like the Amazon Associate program, it provides such great scope for almost any niche. Even for less targeted product sharing (which is how I tend to earn from it) However, it can be a little complicated when you realise that you need to sign up to the associate programs in each country or region in order to fully benefit from it. – Then to optimise your links with plugins or programs to make sure the link takes your reader to the correct regional site and purchase option. – It’s all about reader experience. So it’s always great to hear about other programs which might be easier to use. Thanks for this informative blog on “alternate” affiliate programs, Jay. There are more options than those at Amazon and you point this out very clearly. Private programs look like an excellent option and I want to thank you for showing me this technique. Simply adding ” + affiliate program” to almost any keyword displays a plethora of means to monetize a website. I’m off to the land of google! Hi Jay! Wao, you have just opened my eyes! Thank you very much for this post! I will certainly try ShareASale. An also, I will check out these private affiliate programs. After reading your post, I will spend some time looking at affiliate program alternatives. This post has surely given me some great affiliate resources. Hey Jay, thanks for sharing that post. Since I’ve just started on my own path in the affiliate world, I didn’t know about ShareASale. I’m going to look into it tonight. I looked through the rest of your site too and found a bunch of very useful articles that will benefit me greatly. Hi Jay, thanks for this info. I am a member of the Amazon Associates program but lately I have been a bit disillusioned with it due to their new commission rates. I am also a member of other affiliate programs which are direct with the companies for VPN and IPTV subscriptions. Do you know if ShareASale have Android TV boxes in their program? If they do, this could be a good alternative to the Amazon Affiliate Program for me. Great Affiliate programs, I’m trying to find alternatives to Amazon because where I’m from, very few people buy from Amazon so they don’t ship much here. I tried paying for a custom tumbler and I had to pay an extra $50 which is even more expensive than the tumbler itself… just for shipping! Definitely trying out Share A Sale, and commission junction, do they have country limitations, though? I never knew that Amazon has some restrictions in some USA states. Good to know. Besides, Amazon’s Affiliate program is not that attractive in terms of a pay out percentage, is it? We should give a huge and deserved credit to a nice place like ClickBank. We can find plenty of great affiliate programs with up 80% commission pay out. Amazon is now getting rank against all the buying intent keywords. They are even ranked for the long tail keywords which have only 50 monthly search volume. So, how it can be an easy alternative while it is impossible to get enough sales from other affiliate network? If I can send a few traffic to Amazon, a few of them usually buy something. But, if I send them to other platform then they don’t make any purchase. So, I think, it’ll be better for the bloggers to start thinking about new money making method. Hey, Jay I think many people focus much on Amazon associate, but forget the fact that there are other programs as you mention like SharAShare and Private program that has some good product, but I don’t hear a lot about CJ formerly known as commission junction. Are you involved Commission Junction yourself? Thanks for a great article. Nice post Jay, that google search tips should come in very handy, I’m in the Robotic Lawn Mower niche and it can be difficult to find suitable programs other Amazon and eBay (not a fan). So I’ll definitely give this a look for when I add some new product reviews so that I’m not constantly sending people to the same place. I just love the concept of affiliate marketing. I’ve been doing it on the side for quite some time now, and the options of products you can sell is such a large selection. I just signed onto an addiction recovery private affiliate program because it’s something I’m passionate about. Can’t wait to start. I heard of ShareASale and assumed they were like ClickBank and once you were signed up for ShareASale you could represent any of their vendors. Its sounds like you’re saying if I’m selling products for one vendor, I still have to apply separately to a different ShareASale vendor. Is there a standard commission rate or does that vary depending on individual vendors? When you sign up with ShareASale, you are signing up to their portal of thousands of merchants. You need to individually sign up to each vendor you wish to promote which will have their own commission structures but ShareASale is the one who pays the affiliates. I’ve been doing a lot of research into affiliate programs and products lately, and I’ve managed to find quite a few that suit my niche. The problem now is that I have memberships with several different programs and I’m a bit lost as to the best way to manage them. Do you have any tips for keeping track of which product goes with which program? Hi Shirley – a simple spreadsheet can solve this issue. Affiliate programs are everywhere! I heard the only legit ones are free ones. I was told that any product that is sold on the internet will most likely have an affiliate program of some sort, either the direct manufacture or a site like Amazon. You can promote any product anywhere, I love affiliate marketing! 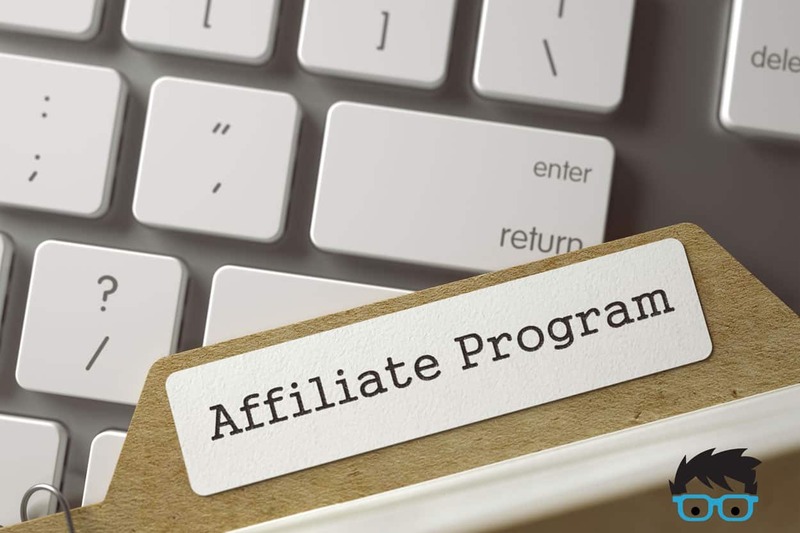 Nice article sharing alternatives to amazon affiliate program, it can be convenient to sign up with an affiliate source with many programs in one place to choose from. Where would a person find a list of websites which offer private affiliate programs, would it not be better to be dealing with affiliate programs privately then through a website such as you have shared in your article today? I came across your site at just the right time. Amazon does not allow me to sign up in my state. I just signed up for ShareASale. They have lots and lots of products to promote. Are there any alternatives to ClickBank? It only pays 3% but it’s a site that can help people save money by buying health and wellness herbs direct from harvesters. It’s not a hard sell when you can save people 50-75% vs Amazon vendors with similar products. With fee changes, tracking reporting issues that leaves many of us wondering where our sales have gone to, possibly being cheated by Amazon, I am certainly looking for alternative. I am familiar with programs such as Share A Sale. Unfortunately, I had 1 sale in 3 or 4 years with them. There is Linkshare, Viglink, Skimlinks, etc, etc but buyers apparently run to Amazon. Cannot get information as to associates actually making money with the alternatives. Some say, buyers stick with who they know but even though Amazon is known, many of their sellers are drop shippers, not major retailers. So what is the deal?? What do associates do? ?